The women’s group was formed in the spring of 2010 and has grown to over an average of 60 members. 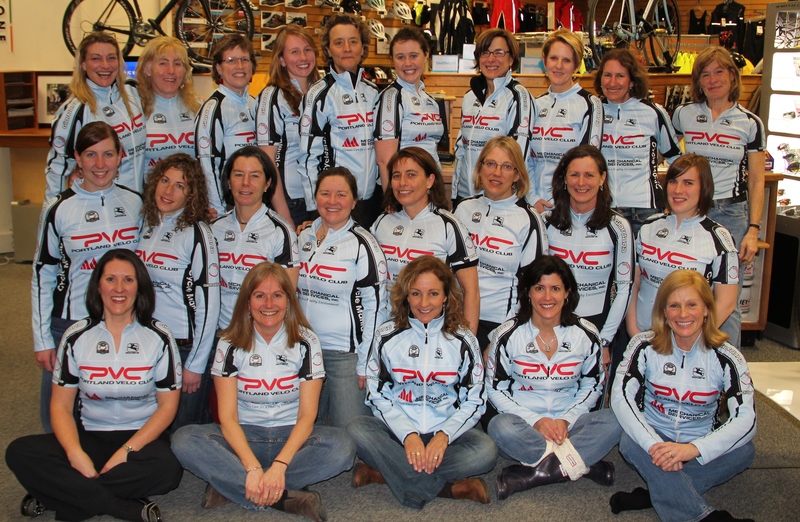 We are the largest women’s cycling club in Maine, if not all of New England. 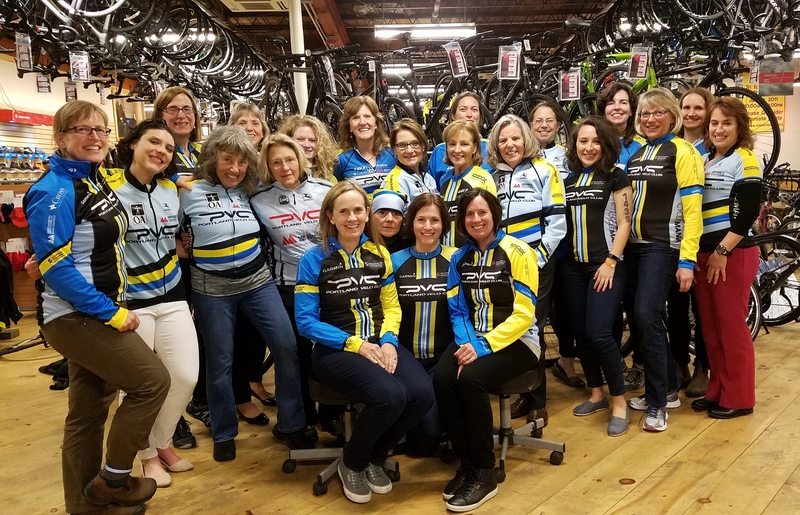 Many of our women participate in group rides, cyclocross races, road races, criteriums, triathlons, mountain bike races, and charity events. 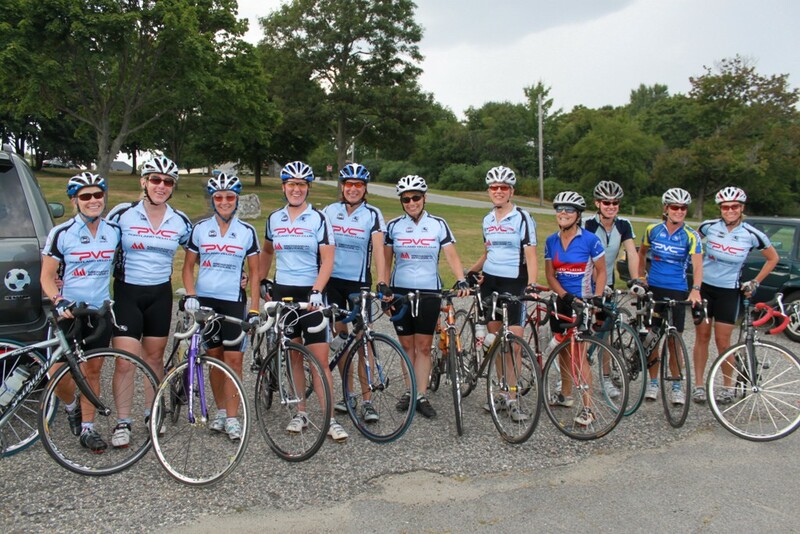 We offer several group rides on the road as outlined on the group ride page. I am a new Pilot loving the experience of pedaling around those who can’t ride on their own. The power-assist trikes are a huge help! Great volunteer experience – and we don’t go out in the rain! Hi! I’m new to group riding and would like to join a Saturday ride. Are there shorter routes for beginners? And where do the rides start from? I wasn’t able to tell from the maps. The SMR ride starts from Cyclemania on Cove Street. There is a Women’s B Ride. Hi! I’m a sophomore at Yarmouth High and I’m interested in cycling with a group. Do I pay the membership fee to ride and become a part of the team? You can always join one of our rides but we would love to have you become a paid member. If you do you will be able to benefit from all of our sponsors and deals that we provide. Plus the women’s group is one of the largest in the State. Pingback: Shut Up Legs! « Kellie Tri's! Are there 2 Monday night rides happening? Shannon said a faster-paced co-ed ride was starting up this year as well as the women’s recovery ride. Are there 2 rides happening Monday nights? Shannon said there may be a faster-paced co-ed group on Mondays as well as the women’s recovery ride. Rachel, there is talk about a MNR this week. Depart 5:45. Hi! I’m interested in joining in on some of the rides. Is there a membership fee and we can simply just show up for the rides? Thanks! Anyone can ride with us and we hope you’ll join us for a ride one day soon. If you have any questions, feel free to email me: danamcewan@gmail.com.